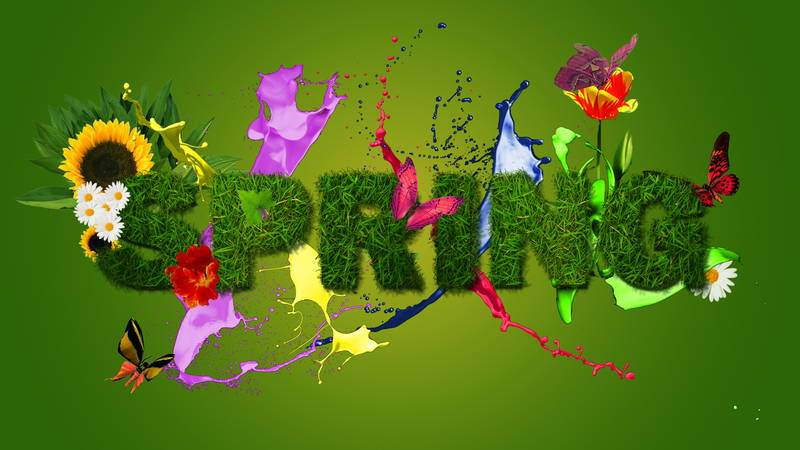 Spring Cleaning Tips - Get A Fresh Start To Spring! Spring is here, and what better way to start it off than some environmentally friendly spring cleaning tips to get your kitchen smelling fresh, using only ingredients you can find right in your home! For those annoying, tough greasy messes we often make in the kitchen, mixing baking soda and vinegar together into a paste works great. Just apply the paste to any sticky mess, let it sit, and wipe it down. This combination helps break down stains making it easier to soak up. Using a coarse scrubber with this recipe will also help bring up thicker messes. You can also use this mixture down the drain of your sink, followed by pouring boiling water down it to get rid of any drain odours. This is a great idea for a fresh spring smell. Using these two together gives you a homemade natural scrubber. Cut a lemon in half and shake some salt on the counter or the stain you’re cleaning. Take the lemon and rub the surface and watch as the salt breaks up the stains and the lemon lifts it up. You can also use lemon juice in your garbage cans at home. Use lemon juice ice cubes or lemon wedges and ice to get rid of odours and keep them smelling fresh. Great for cleaning stainless steel appliances without scratching or damaging the surface. Mix 2 cups of distilled white vinegar with half a cup of cream of tartar and clean away! This will give your kitchen a nice fresh scent and is a great all-purpose cleaner. You simply take full orange peels and place them in buckets. Then pour vinegar in with the peels just so it reaches the tops of the peels. Keep the buckets in the cold cellar or garage for two weeks, making sure to stir them occasionally. After two weeks, strain the solution, divide it into spray bottles and fill them with water to dilute the formula. You now have your own homemade orange oil! This is great for around the house and especially on wood surfaces. Put rice or barley through your coffee grinder to clean it out. Those are a few tips to get a fresh start on spring. Happy cleaning!